A recent article was published on Private Property regarding the need to have a home inspection done on the property you wish to purchase. A programme that aired on South African television recently highlighted a couple’s problems with a new house that they had bought in Salt Rock, and the story was pretty horrific. This husband and wife had spent a tidy sum on a home that proved to have a number of expensive defects. While there are many instances where the new owners only become aware of problems once they have moved in, what was far more concerning in this particular case was the fact that these people had parted with an enormous amount of their hard-earned cash without a second thought, and openly admitted that they had only viewed the property for fifteen minutes before taking the decision to buy. Unfortunately, as crazy as it sounds, most buyers approach buying a house in much the same way. 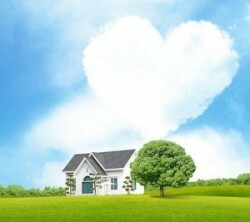 They view a home, fall in love with the property and make a decision based on emotion rather than on logic. The strange thing is that those same buyers would never dream of adopting this approach when it came to buying a car, even though most vehicles cost a fraction of the price of a new home.